umschreibt langsam die ungefähre Mitte des Raumes. 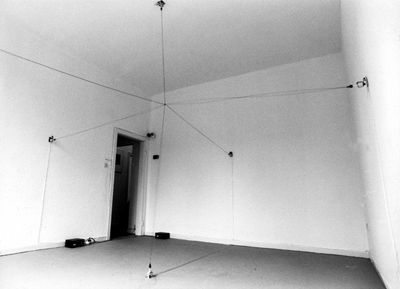 A coordinate cross, made from a span of strings, is set in motion by six bicycle dynamos, which twist the strings. 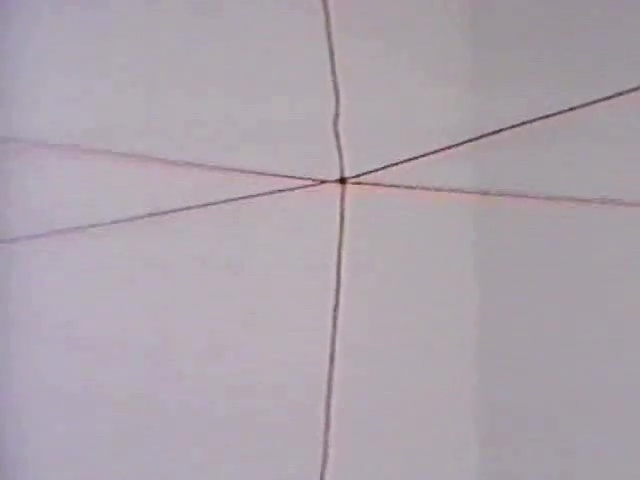 The intersecting point, where the strings are fixed, circumscribes gently the center of the room.